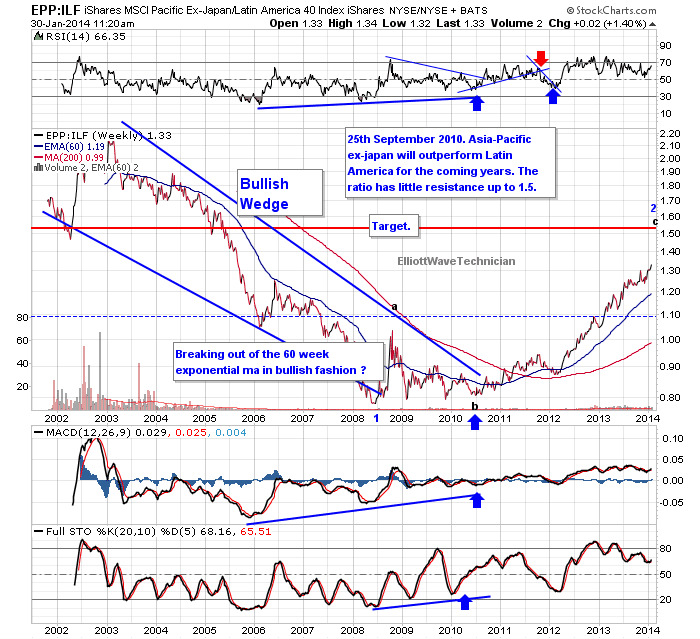 The stock market of Asia xJapan has been outperforming Latin America the last few years as we predicted back in 2010 when the Ratio broke out of a bullish wedge. Source: Elliott Wave Technician. Click on the above image to get a larger picture. We expect Asia to continue to outperform Latin America over the next year or so until the Ratio reach our target of 1.5 which represent solid resistance.